!!! Klamath Tribes make call on Upper Klamath water, Water Resources Department, Klamath Falls April 14, 4/14/17. "Klamath Tribes have notified OWRD of a call (request) for water on the Sprague, Williamson, and Wood Rivers and tributaries, and the Klamath Marsh..."
Flows from Upper Klamath increase amid flood mitigation, Sprague River remains high, H&N, posted to KBC 3/23/17. "... the local snowpack is 113 percent of normal...No evacuations have yet been ordered as high waters along the Sprague River flow downstream, posing minor flood threats to properties in the Chiloquin and Sprague River areas." Klamath leaves five-year drought designation behind, H&N 10/26/16. (Klamath) Basin water year looking dire, H&N 4/2/15. "As of Wednesday, Upper Klamath Lake was 94 percent full...Although the Basin has received above normal precipitation this winter, and much of the region will experience showers in the next week, the U.S. Drought Monitor categorizes the Basin as being in 'extreme drought.' "
"The current storage is 283,000 acre-feet. Average storage is 275,000 acre-feet." Ongoing California drought wreaks significant economic damage. Crop, job losses take heavy toll on state, H&N 7/16/14. Water Forecast Improves; projections not enough to relieve Basin irrigators yet, H&N 3/5/14. "...reserves in Upper Klamath Lake have increased 10,000 acre-feet in the last month." FEMA: Yreka disaster center to close Saturday 3/3/06 "The center at 1712 Fairlane Rd. 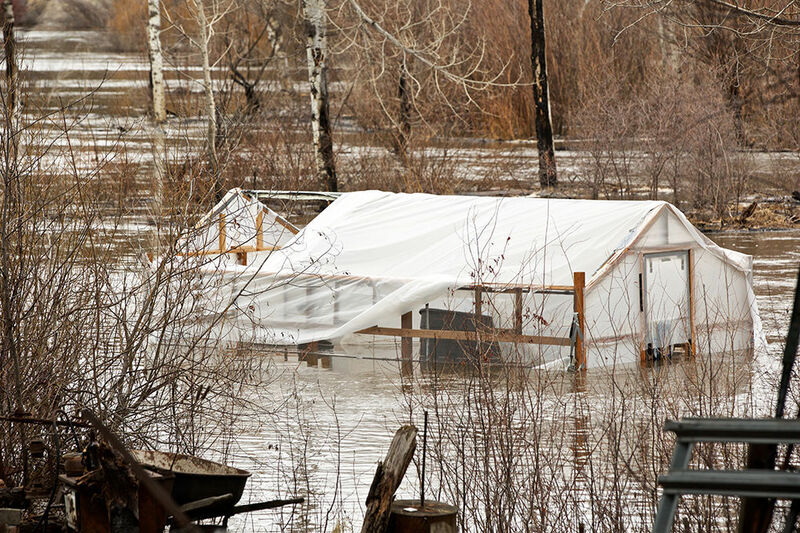 is staffed by federal, state and local officials and by volunteer agencies to provide information and answer questions for Siskiyou County residents who registered for disaster assistance for damage suffered in the December-January flooding." According to the NRCS, Natural Resources Conservation Service, the Klamath Basin snowpack in 158 percent of normal. January 2 flood reports from Klamath, Redding, Eureka and Northern Ca.